OIL Search is optimistic that they have proven successful in optimising production from mature Oil fields. 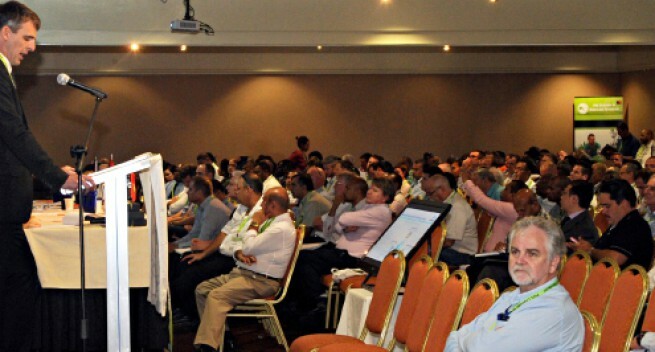 General manager Production for Oil Search Matt Stone, boldly told delegates at the Mining and Petroleum conference that the production outlook for the company is strong, meaning that their production remains highly profitable. Mr Stone also stated that since taking over the oil field operatorship in 2003, Oil Search has drilled up to 43 development wells with an 85 per cent success rate. He added that in the past four years alone, the company has managed to add +49mmbbls oil (gross) to 1P reserves (+ further 32mmbbls to 2P) through high resolution reservoir modelling, successful drilling and field management and have achieved the 2010 key objective of maintaining oil production broadly flat until first the PNG LNG production. Mr Stone said firmly that: "Our 2016 production is expected to be similar to 2015 due to the results obtained from 2015 production which is expected to be at the upper end of 27 – 29 mmboe. "The 2016 and forward focus is now on driving value and minimising risk on all ongoing oil production optimisation initiatives, with specific focus on process safety and reliability, while continuing the reliable delivery of Kutubu, Gobe Main and SE Gobe (third-party) gas to PNG LNG Project." He also noted that they will support the PNG LNG operator in maximising PNG LNG production opportunities through optimisation or debottlenecking while having material opportunities still existing to add value, even in mature Oil fields. "Focus is on driving value through continuous improvement and managing risks by clearly prioritising all activities and work programs. He said they are not only concerned by the production level but that the safety and well being of the workers is also promoted.